Chefs have a preference for traditional communications methods over social and digital media when choosing new products to list on their menus according to new research. Undertaken by food PR and communications specialist Pelican, the foodservice research reveals chefs preferences, and found that chefs still prefer samples, face-to-face meetings and trade shows when choosing products and services. Whilst chefs have embraced social media in the workplace it is primarily for keeping in-touch with colleagues, following celebrity chefs and keeping up to date with industry news. The foodservice research examined the communications preferences of profit sector and cost sector chefs and caterers. It shows that supplier samples (79%), chef & caterer exhibitions (73%) and word of mouth (72%) are the preferred channels. This was closely followed by recipe books (69%), chef & caterer magazines – both stories and advertising (65%), and supplier sales teams (64%). Supplier demonstration days were also cited (60%) as being very useful. 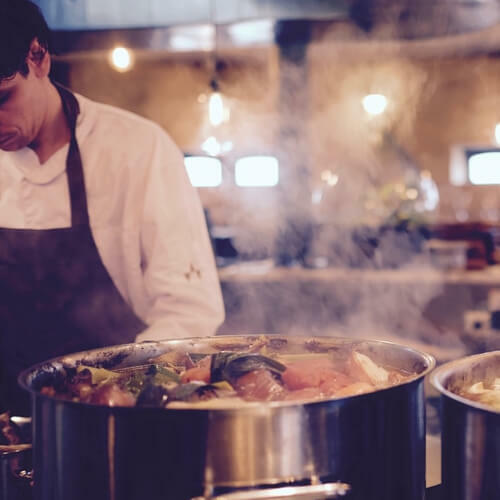 The findings have implications for organisations supplying the foodservice industry, according to Pelican Communications managing director Michael Bennett. He commented: “Despite the huge growth in social and digital media, traditional marketing techniques are still highly influential with chefs and should continue to form a key part of any marketing communications plan targeting profit and cost sector chefs. Anecdotal evidence gathered during Pelican focus groups has highlighted that many chefs still consider social media to be a personal communications channel – for private correspondence with friends and family. Pelican’s research also investigated the tonal character of communications which respondents most closely related to. Profit sector chefs were 60% likely to find communications which depicted ‘real’, ‘dynamic’ and ‘physical’ settings more appealing, whilst 61% of cost sector caterers preferred ‘immaculate’, ‘tidy’ and ‘cheerful’ settings. Can smaller food brands successfully tap into big sporting events in their social media marketing?